In Cameroon, authorities are banning the sale and/or broadcast of some popular music, including a new dance hit by the prominent Cameroonian rapper, Franko. a new dance hit by the prominent Cameroonian rapper, Franko. 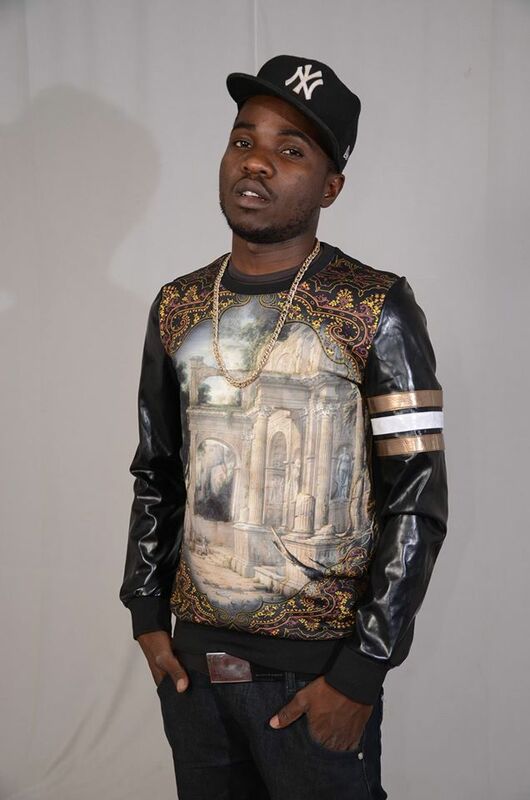 The video for this song by Cameroonian rapper Franko has been watched more than two million times on Youtube. It is called "Coller la petite," which translates to something like "Stick to the girl." In the song, Franko urges men to hold their female partners tight. It is a runaway regional dance hit. But Joseph Tangwa Fover, the most senior administrative official in the Mifi district of western Cameroon, has banned the sale and broadcast of the song saying it promotes public indecency. translates to "Stick to the Girl". "What is bad in the song is the message which changes the behavior of our youths. When you play it the dancing style changes and it leads to unwanted pregnancies. If a man brought good music saying that people should go to the farm, will I stop it? This particular song does not respect our normal behavior,” Fover said. “Our children should be responsible. Their parents should be responsible. Even those composing these songs should be responsible. The music that does not augur well to our own culture should be wiped out of the society." One of Franko's managers, Atangana Parfait, said music should express reality in Cameroon. 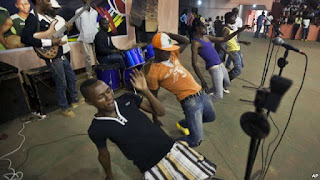 He said there are noise-making, self-proclaimed moral guides who are trying to blame all Cameroon's problems on music. He said they are wrong. Detractors say youth are embracing Western attitudes and have lost touch with traditional values, like respect for elders and modesty. I would modestly agree to this statement. A prime example would be how hiphop was hijacked and turned into rap crap and the younger generations have lost touch with today's traditional values here in America as well. Music video of "Coller La Petite"
Franko is not the only Cameroonian artist who has been accused of promoting immoral or illegal behavior. Veteran musician Lapiro De Mbanga was banned from state media for being critical of the government. He went into exile and died in America last year. Pop artists and rappers like Petit Pays, K' Tino, Lady Ponce, Tonton Ebogo and Joceline Bizar have been accused of producing music that is pornographic in nature. State radio and television refuse to broadcast their songs but private media jam the airwaves with it. Musician Ama Pierrot said banning music will not fix societal problems. This is not the first time the government has taken measures to contain what it calls a "social problem." In 2013, authorities went around arresting girls they said were dressed "indecently" in short skirts. In my opinion, banning the sale of certain songs is not the answer to solve society's problems and ill wills. But, some music is a direct result of the problem's of society which reflect in a song's lyrics. I do believe that there is a market for adult music that promote foul language and adult dancing but it should be kept as adult. In non-western countries such as Cameroon, I think they hold a very high esteem about their spiritual traditions, dignity, self-respect, respect for women, morals and values. Just like the legal drinking age in America is 21 years old, Cameroon should have a music law that says a person has to be the age of 21 years or older to produce indecent, provocative and or violent song lyrics in their music. Just something to think about I guess.